Stephen, no replies so far- possibly because you posted late at night. But possibly because you didn't give all the info about which engine - 2 stroke or 4 stroke - etc. and which Acrowot. Give some more info and I am sure you will get some sound advice. I have an old Acrowot of the original 58 inch size which had an OS 46 two stroke and later re engined with an Enya 40SS 2 stroke and I could give details but there may be other people with exactly the same engine you have which may be more relevant. The AW kit has the provision to move the firewall to suit your engine. All you need to do is work out how long your engine is with its mount and go from there. If in doubt plonk the engine+mount on the plan and see how it all lines up. I assume you are building the kit and not an ARTF? The descision on the engine mount is weather to mount it side on or inverted, I have done both and find that side on is more convenient for starting but does mean quite a lot of the cowl side cheek is cut away. If you are using a big engine you ,may need to move the firewall back slightly and this is dealt with in the instructions. I have used a 91FS in most of mine. The undercarriage is the weakest link in all forms of Acro Wot so a bit of reinforcing around this area will help, but I do away with the metal fixings and replace them with 2x 6mm plastic bolts so that they break before ripping the undercarriage out. The Acro does tend to bounce a little on landing in any slight wind. If you make a spacer as shown then the bolts are easily removed to replace them. As far as other mods some have moved the tailplane lower to make knife edge easier I have tried this but wouldn't bother just need a bit of elevator to make it track straight. The engine needs a couple of degrees of right thrust on the Acrowot. Chris Foss’s instructions have the angle . You can eithe use small fillets or buy the SLEC purpose built wedges. The important thing is to make sure that the spinner plate ends up central despite the right thrust. That means the rear of the engine is mounted slightly to one side. It can either be accomplished by eye ( taping a ruler down the centre of fuselage) or more accurately using trigonometry . That would be of interest - I lost my own ARTF AW recently and am thinking of a kit version for the engine that survived. I'd still be inclined to use nylon bolts for the U/C. The problem with using nylon bolts for the undercarriage is that if they snap in a hard landing the u/c flys back and cuts two notches in the tailplane! At least that's what happened when the u/c was alloy. It was common to see those notches on lot's of Acrowots. People preferred to use steel bolts for that reason. One of the oldest tips about building from kits is to draw around every part onto a sheet of paper before you start. Including the shape of the airfoil at root and tip if it's a foam wing. 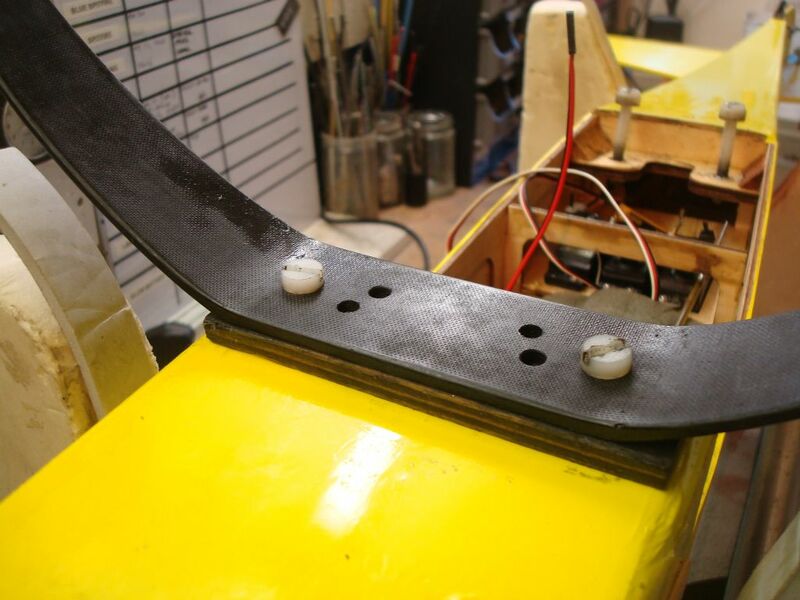 Then you have a plan for each component if you have any sort of crash a replacement part can easily be cut from balsa or ply or a foam wing made. That way any crash is probably repairable unless the model is too oil soaked. ARTF model can also be repaired see the 2 part article by Peter Miller under 'Features - Building Technique ' at the top of this page. Re the U/C, perhaps the nylon-bolt solution is only really applicable to the ARTF version, but less so on a more robustly made kit? On my ARTF, before I switched away from the steel bolts supplied, a bloody great mole hill reared up right in front of a dead-stick landing - ripping off not just the U/C but the whole of the underside section to which it was bolted! In the several later occurrences of rough landings where the nylon sheered (sometimes just one side only), scarring of the tail didn't happen, but would have been a very minor price to pay compared to a nose-area rebuild. Steve - after your message I left you a pm to contact me? In the build there are generally recommended strengthening mods such as glassing the inside of the forward fuselage with light cloth from the rear of the firewall to the cockpit area, fixing the firewall with cocktail sticks and adding triangular gussets to the inside forward fuselage structure. Acrowots are tough models anyway but these make sure it will stay in one piece forever (almost!). Personally I always used nylon bolts on mine to fix the u/c to the fuse but the points made here for and against both have merits so it is a matter of personal choice...call me to discuss more. For the bandage wrapped round the wing I personally wouldn't use any epoxy type glues. I'd use Aliphatic resin glue. In fact that's what I'd use for the whole model. If you go on to cover the model with iron on film you'll find that it may not adhere too well to the epoxy on the wing bandage. There'd be no such issue with a bandage applied with Aliphatic as film covering sticks well to it. Be sure the wing bandage is wider than the fuselage Stephen. Epoxy glues don't seep into the wood, but instead sit on the surface. They're also heavy . For construction generally I’d use Aliphatic Resin - dries quicker than PVA and is relatively easy to sand. 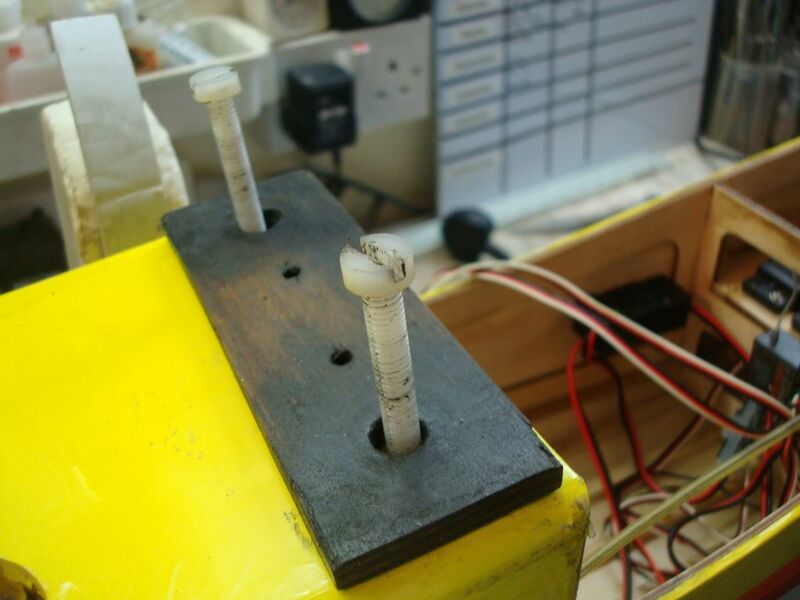 If you do use epoxy for localised strengthening of components, then make sure the joining areas are well keyed (roughed up) first, and the slower and more liquid the better for maximum penetration. If the epoxy is to fill an area, then thicken it with filler when mixing. It's perhaps also worth adding that if you're going to use epoxy on a joint which has small gaps, then pop the bottles in the microwave for 20 seconds or so prior to mixing. It'll then run into gaps and cracks much more readily......it might also begin to penetrate the grain of the wood a bit. Not something it usually does in it's normal gloopy state. Poly C would indeed be a good alternative, but it's thinner/runnier and so would need several more coats to build up it's strength if used with a wing joining bandage. Good stuff though. I use it myself.